When it comes to juices, I’m quite selective. I’ve never really purchased juices from supermarkets because of the high content of sugar (yes, 100% pure juice? Sure, with cups of sugar!) For a busy breastfeeding mom like me, I needed to make sure I consume enough nutrients to keep me going the whole day (cos you know, juggling between taking care of an active infant and getting things done is really hard work!). Sometimes lunch is non-existent and that’s really not a good thing. 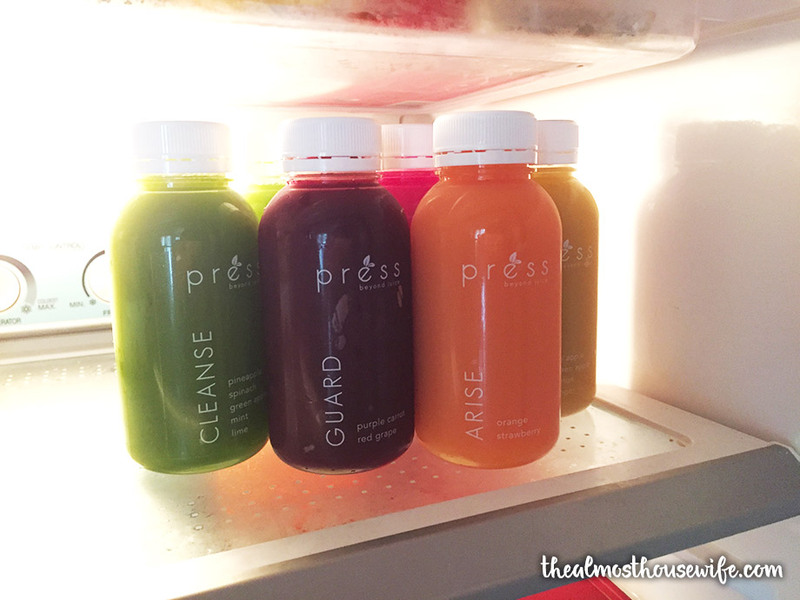 I was so fortunate to try juices by Press. 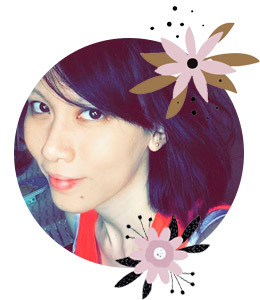 Conceived in 2015 by a sweet couple, they catered for busy working individuals. Their grab-and-go juice bar in KL Sentral only served raw, cold-pressed juices. What’s so special about these juices? They have harnessed the pure, vital health benefits of the raw ingredients and deliver them in their most beneficial form: raw and fresh. These nutrients, enzymes and minerals never come in contact with heat and are bottled within moments of being pressed. These are the range of juice flavours that are currently on sale. 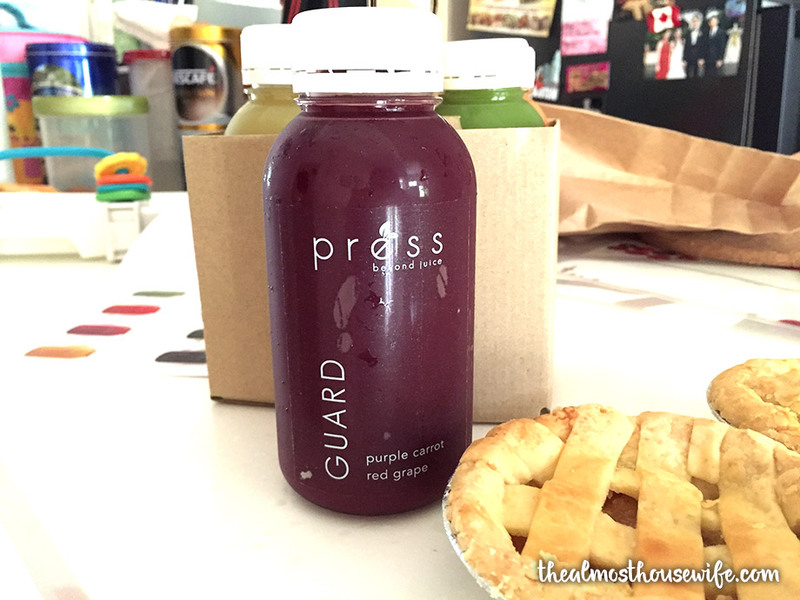 I was feeling generous so I shared the juices with my husband (haha). For maximum freshness and nutrients, the juices are best drank within 1-2 days because they’re all made of raw and fresh ingredients (no preservatives!). This one’s my favourite. I love how each unique concoction has their own set of nutrients and benefits. ‘Guard’ aids in anti-aging and memory booster (because I’m reaching 30 soon and I have a memory of a fish lol). 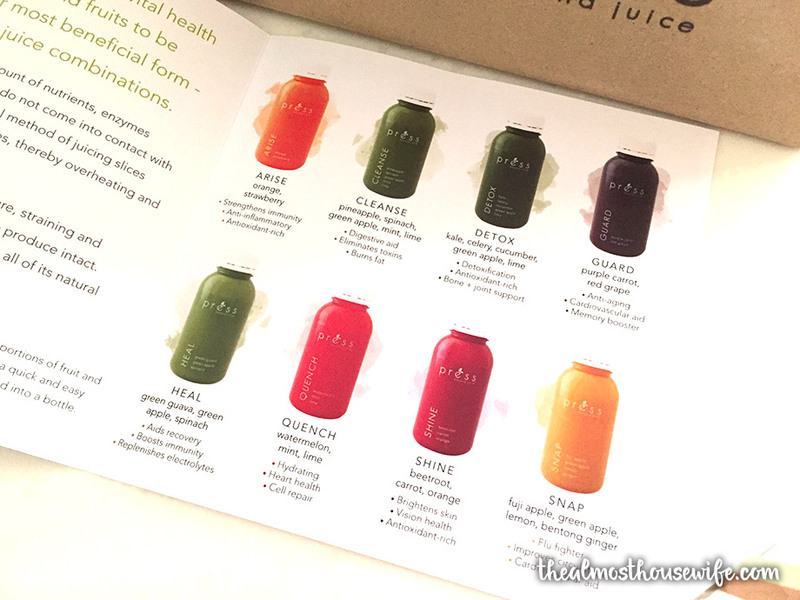 Check out the benefits of each juice! One more thing that I like about Press is the bottle that they used. I’ve saved all the bottles because the quality is so good, that you can re-use it and chuck it in your handbag cos it’s small. I’d say, try one (or two) today. Check them out at these locations below. 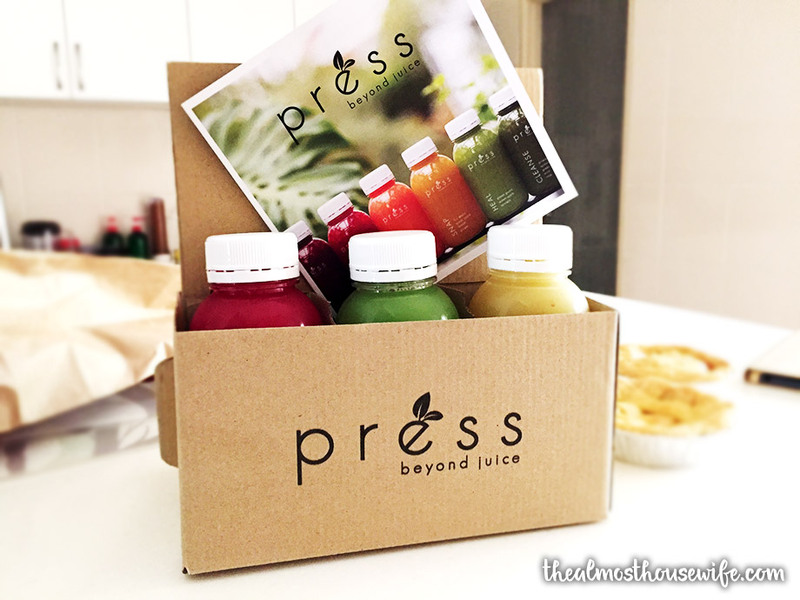 Or order online at www.pressjuice.com.my and have it delivered to your doorsteps! Lately, I was offered the brand Goo.n to test on my baby. I said why not, told them the preferred size and received the pack about a week later. Abby is now 10 months old and so far, I’ve tested more than 5 brands of baby diapers! I don’t mind experimenting them all because Abby was not a fussy baby and she didn’t have nappy rash problem. Upon looking at the label, I found that this diaper was made in Thailand. It’s stated that the diapers are Japan made. Tore the plastic and took one out. 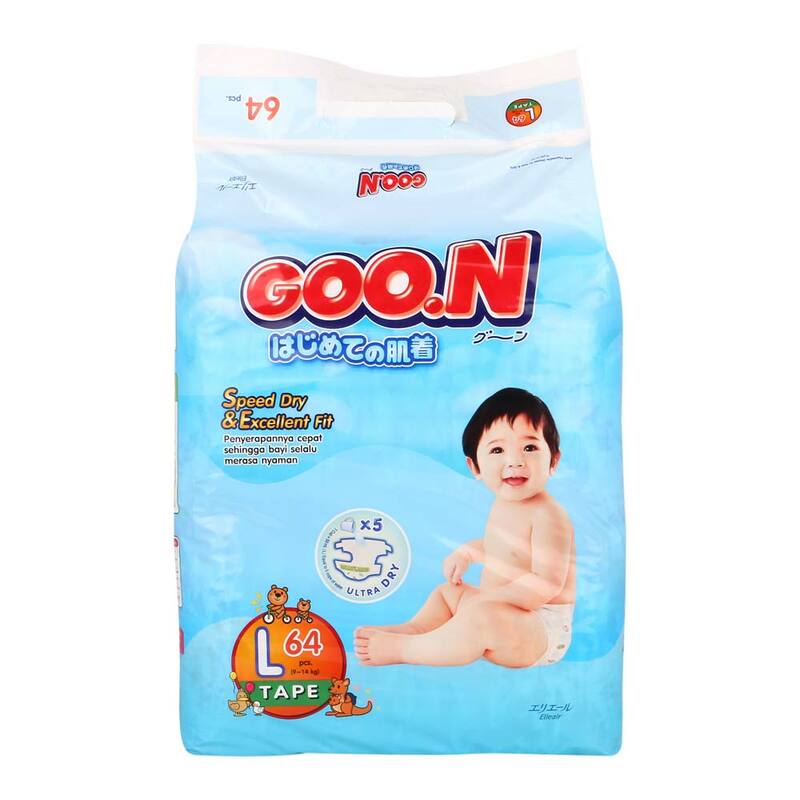 Unlike Drypers, the Goo.n diaper is quite long which is good (perfect for tall babies or babies with big bum bum). It almost reminds me of Pampers. It’s soft, thin and feels quite premium. 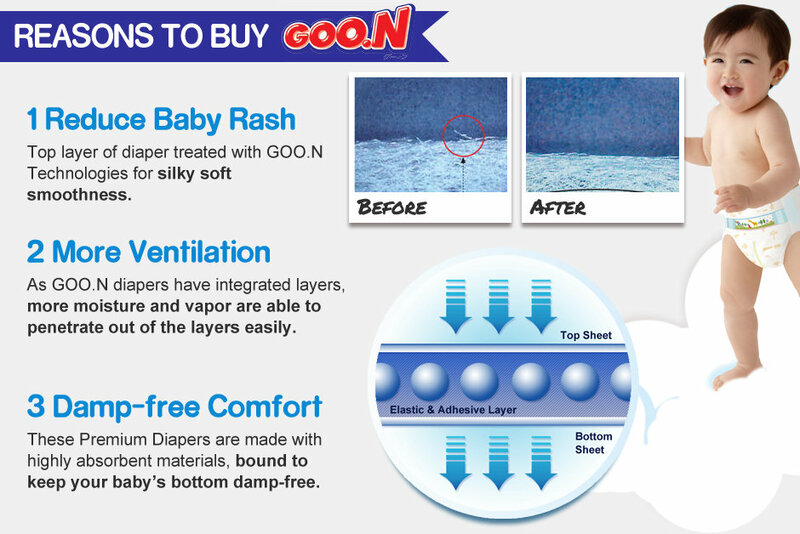 This diaper could be a cheaper alternative to Pampers because it’s similarly long, soft and thin. I’ve to agree on the dryness part, it was dry when I took it off her.